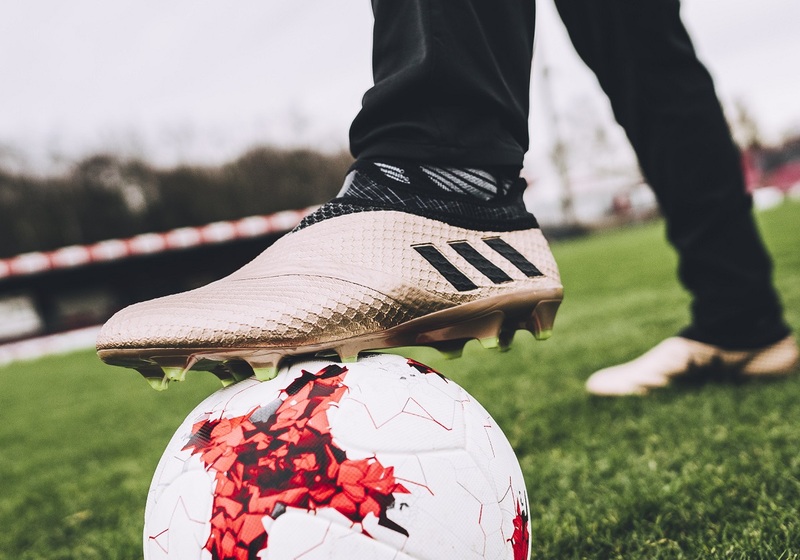 Over the past few weeks, adidas has introduced us to their latest Turbocharge collection, designed to electrify pitches. 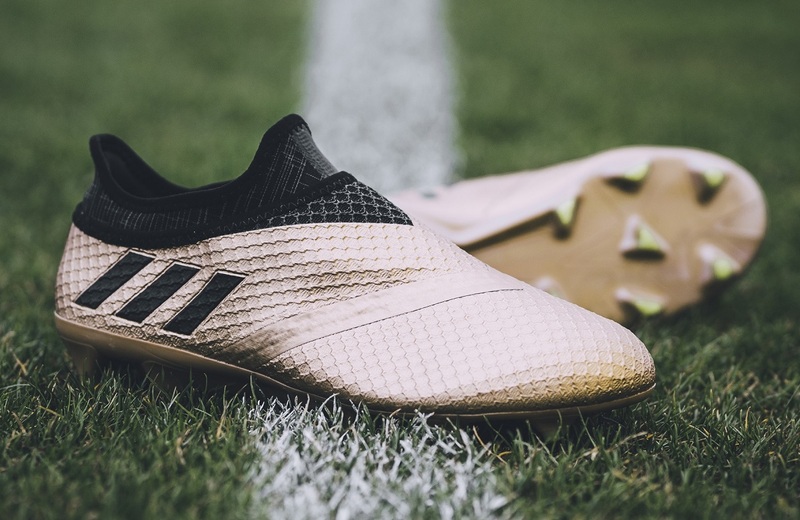 As part of the pack, Lionel Messi was treated to another signature colorway that he has already been wearing in recent weeks. The MESSI 16+ Pureagility Turbocharge has been designed to suit Messi’s unique playing style and features a Gold (or even Copper Metallic) upper, Black PURECUT SOCK SYSTEM and Green studs for extra detailing. 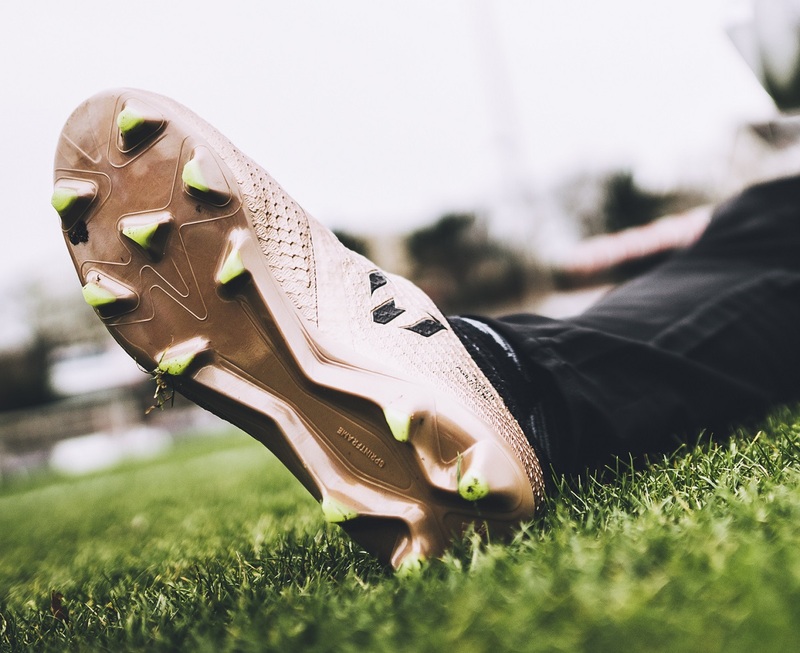 As an agility focused boot, they are more adept for general touch and control on the ball, especially when you need to cut from tight angles. The gently raised honeycomb panels create the perfect surface for cushioning the ball in tight spots and when taking in passes. 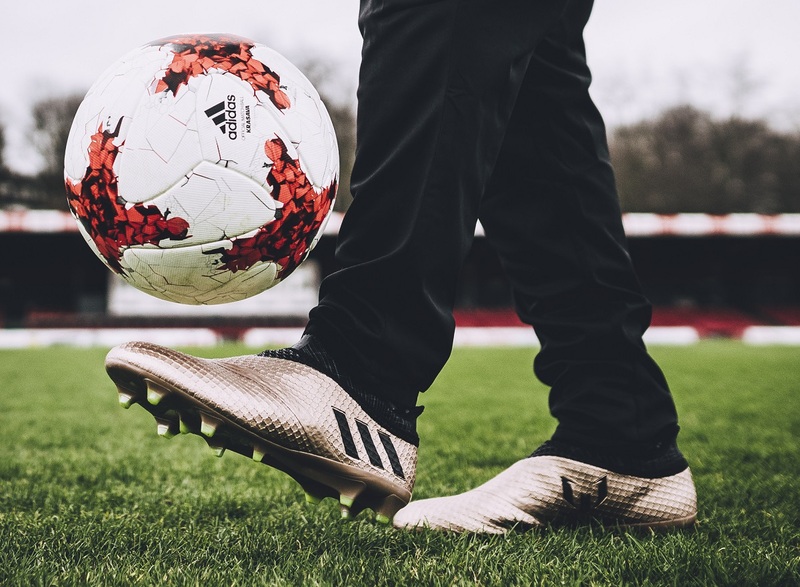 Think of Messi for a second and what he would have requested in a boot from adidas; as a creator he needs something that allows for dynamic touches in tight spaces, something that would provide equally uniform feel as he dribbles at speed taking on players, and a boot that cushions impact while striking shots. It is a very difficult list to fulfill, and I don’t think there is a way to cover every point equally well. But, adidas has put together a high quality boot that gets very close to meeting all the needs. Do they feature laces? The answer to that is yes, tucked under the top upper layer is a lace. So, technically this is not a laceless boot. The nature of the upper construction and TechFit collar ensures they provide a tight around your foot. The laces ensure you can really control the final fit, tightening them an extra bit just in case you need it. Find the Turbocharge PUREAGILITY available at soccer.com.